Find the Best Elder Care Services! Welcome to HappyElderCare.com! We maintain a large database of caregivers to help you find the best elder care services for you or your loved ones! 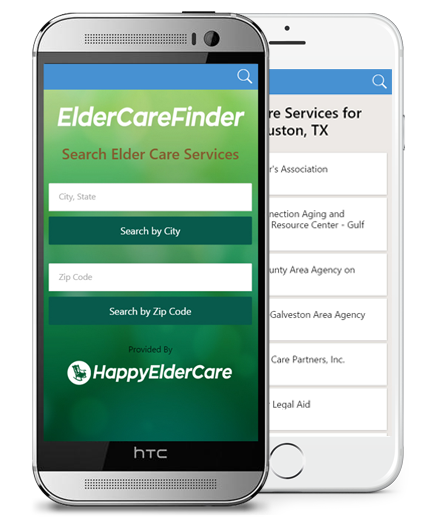 HappyElderCare is proud to present our mobile app: Elder Care Finder, which is available for download from the Google Play Store and the Apple App Store. Elder Care Finder is a mobile app to help you find the best elder care services near you. Using this app you can search caregivers by zip code or city name. Its interface is very user friendly and will make finding elder care servies really easy! Please download this app if you are looking for elder care services!